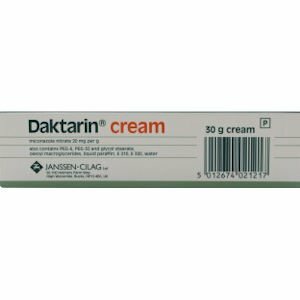 Daktarin Cream 2% w/w Miconazole is an antifungal medicine used to treat fungal and bacterial infections of the skin or nails. 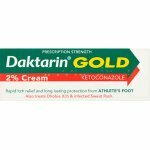 How does Daktarin Cream work? Daktarin cream works by destroying the fungus that causes the infection and some of the bacteria which may also be present. 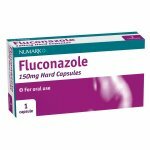 It is also used to treat infected nappy rash. How is Daktarin Cream taken? Daktarin Cream is for external use only. Each time you use the cream you should wash the infected skin and dry it well. Apply the cream as directed by your doctor. After applying the cream, unless the infected skin is on your hands, wash your hands carefully to avoid spreading the infection to other parts of the body or to other people. How soon will Daktarin Cream work? The effects of Daktarin Cream may start to be seen quickly but it is important to continue using Daktarin Cream for up to 10 days after the symptoms have cleared to prevent them from coming back. 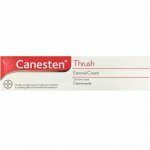 What are the common side effects with Daktarin Cream? Daktarin Cream is usually well tolerated. Occasionally, irritation of the skin may occur. 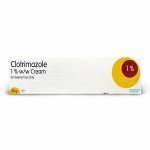 Daktarin Cream Miconazole Nitrate 2% - Always use Daktarin cream exactly as your doctor has told you. You should check with your doctor or pharmacist if you are not sure. Keep using the cream for 10 days after all signs of infection have gone away. This will stop the infection from coming back. If you swallow any cream, talk to a doctor or go to the nearest hospital casualty department straight away. Do not use Daktarin cream If you are allergic to anything in Daktarin cream. 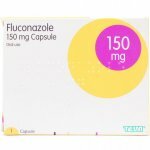 Do not use this medicine if the above applies to you. If you are not sure, talk to your doctor or pharmacist before using Daktarin cream. Please tell your doctor before using Daktarin cream if you are pregnant, think you may be pregnant or might become pregnant. You may still be able to use Daktarin cream if your doctor thinks you need to. 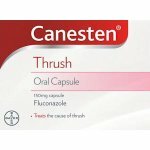 Talk to your doctor before using this medicine if you are breast-feeding. 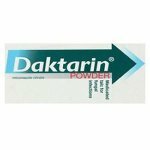 Daktarin cream is not likely to affect you being able to drive or use any tools or machines. Daktarin cream also contains butylated hydroxyanisole (E320). This can cause local skin reactions (e.g. contact dermatitis), or irritation to the eyes and mucous membranes. Like all medicines, Daktarin cream can cause side effects, although not everybody gets them. Stop using Daktarin cream and tell your doctor straight away if you notice the following. You may need medical treatment. If you get any of these side effects, or other side effects not listed in this leaflet, tell your doctor or pharmacist straight away. Miconazole nitrate 2 % w/w.